Reading Recording Artist Dro Ski Releases New Music Video "False Promises"
Coast 2 Coast Mixtapes announces the release of the new music video by Dro Ski currently seeking blog placements and interviews. 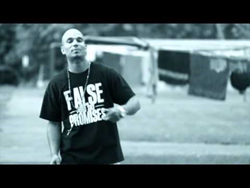 Today Coast 2 Coast Mixtapes announce the release of “False Promises”, the latest music video by recording artist Dro Ski. The video can currently be seen in its entirety at the Coast 2 Coast Mixtapes website. Dro Ski is currently seeking press opportunities, interviews, features, and more. He can be reached through his official Twitter page. About Dro Ski: The video was filmed in Middletown, NY, which is a place very relevant to Dro's upbringing. While shooting scenes for this video, Dro wanted to revisit some old childhood stomping grounds and take a look back in a sense, while verbally painting as vivid of a picture as possible. "Many of us come from poverty stricken neighborhoods, single-parent homes, foster homes etc," says Dro. "I'm just telling my story." For all the latest music by Dro Ski, be sure to check out his official Soundcloud page.